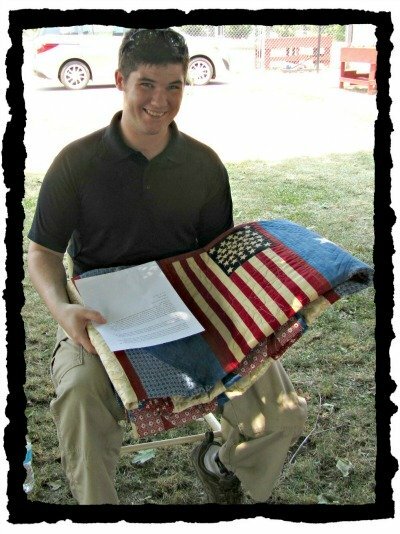 Free Civil War Quilt Pattern for remembering our Wounded Warriors! For Remembering our Wounded Warriors! 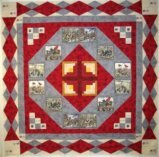 To download our free Civil War Quilt Pattern, you will need the latest version of Adobe Reader to open and read this PDF file. Our free Civil War quilt pattern was designed using EQ7 software and is an easy quilt pattern to try no matter if you are a beginner quilter or an experienced quilter. 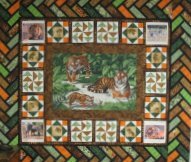 You will find all the necessary instructions & templates that are unique for this quilt, to complete a full size top plus a picture of the quilt. This is truly a gift that keeps on giving! You'll also get access to more easy quilts, like Lone Star 8-point Markup, Baby Pinwheels, Amish Block, Baby Duck Pattern and much, much more! This simple quilt pattern is Half Square Triangles repeated over and over until you achieve the size you want. The borders can be complex or plain, either way this easy quilt makes a statement!